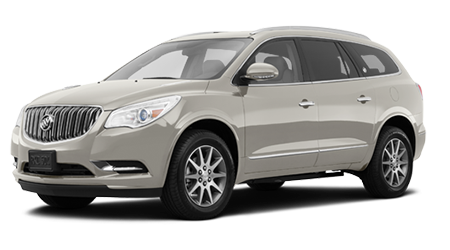 The 2015 Buick Enclave is one of the most stylish, luxurious seven-passenger family crossovers money can buy. If you're in Wahiawa, Kapolei, or Pearl City, HI stop by Cutter Buick GMC in Waipahu, O'ahu to see just how nice a family car can be. The new Lincoln MKX is stylish as well and is nearly the same size as the Enclave, however it has nowhere near the interior room the Buick provides, plus it's not as maneuverable. 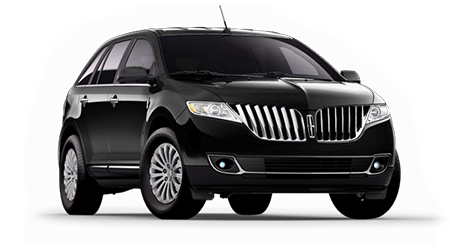 Both the Lincoln MKX and the 2015 Buick Enclave are seven-passenger crossover SUVs of similar size. Even though the MKX is slightly smaller, it needs two more feet of road to make a full U-turn. The Buick Enclave has a 40ft turning circle, versus the Lincoln's 42ft. The amazing thing is they are the same size; the Buick just drives smaller. Look at the official interior dimensions and the Enclave has the MKX beat by more than ten cubic feet. For three rows of seating, in almost all measurements, the Enclave comes out on top. Plus, you can option the Enclave with a 2nd row bench seat and up the seating eight; the MKX offers no eight-passenger option. In maximum cargo volume, with no passengers, the Enclave beats the MKX by 40 cubic feet. Even with all that extra space inside, the Enclave gets nearly the same mileage as the MKX (just 1 mpg lower in highway travel, the same city rating). The Buick has a great cruising range between fill-ups, meaning you'll visit the gas station much less. Both SUVs come nicely equipped, but the Buick has some features the Lincoln just doesn't offer. For instance, the Buick Enclave includes the excellent OnStar telematics system with turn by turn directions, lockout assistance, and SOS call in case of airbag deployment. The Enclave also offers a rear seat video entertainment system, which isn't available from Lincoln. The Enclave can also act as a Wi-Fi hotspot with the right option boxes checked. All Enclave models are also rated to tow 4,500 pounds, 1,500 more than the MKX, so you won't have to leave your larger toys at home. In conclusion, it only takes a few minutes of comparison to see how the 2015 Enclave is the better luxury family hauler. Cutter Buick GMC in Waipahu would love to put you and your family in a Buick.